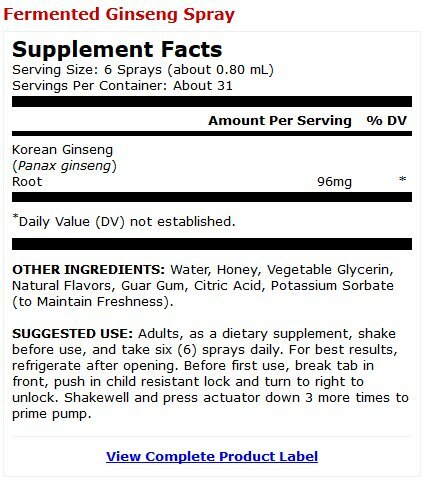 Fermented Korean ginseng in a unique spray form for optimal absorption. 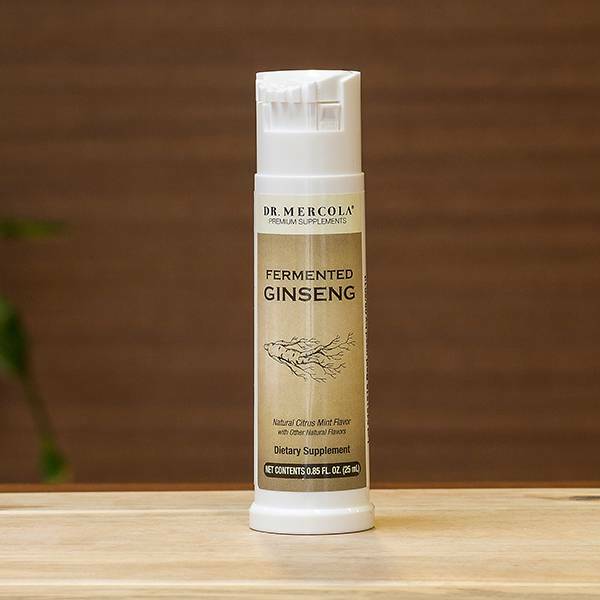 Using a proprietary enzyme fermentation process that transforms the ginsenosides into usable end-stage metabolites, the ginseng extract in this Fermented Ginseng acts like it’s already been metabolized in your large intestine. By removing many of the potential barriers to absorption, Fermented Ginseng provides faster and more consistent absorption than other types of non-fermented ginseng. Now available in a unique spray form, this Fermented Ginseng Spray can help you take control over the everyday stress and fatigue that can keep you from living the life you want.